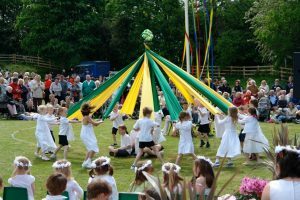 To officially commemorate the arrival of spring, the children will be making their very own maypole to dance around. These intertwining traditional dances combine exercise with team work and are a fun way to get the children to take turns, problem solve and work collaboratively. What better way to welcome the warmer weather.